Expecting twins, triplets or more? You've found your tribe. 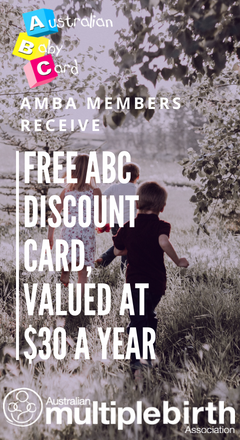 AMBA, the Australian Multiple Birth Association, is Australia's leading charity for twins, triplets and more. On our site you will find tips about what to expect while you are pregnant, information on common issues for multiple birth, and there is useful information if you are already a multiple birth family. 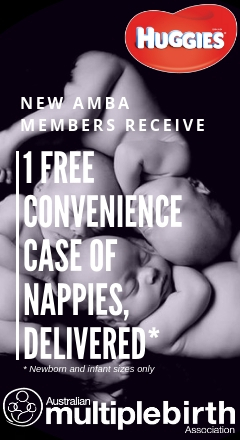 Formed as a volunteer organisation in 1974, AMBA is the only national charity in Australia focused on improving the lives of twins, triplets or more and their families. We work to educate and raise awareness in the broader community around the realities for multiple birth families and seek to improve health outcomes through local, practical support for families. 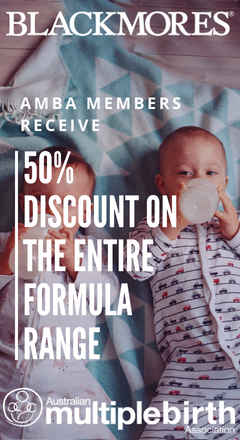 The Australian Multiple Birth Association is the leading support organisation for families with twins, triplets or more. We are recognised for our hands-on experience and knowledge, hence our motto being “Support from those who know”. 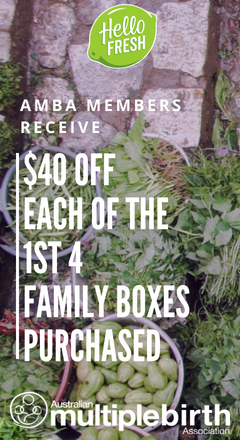 AMBA provides its multiple birth families with current information on parenting, multiple birth studies and support at grassroots level.